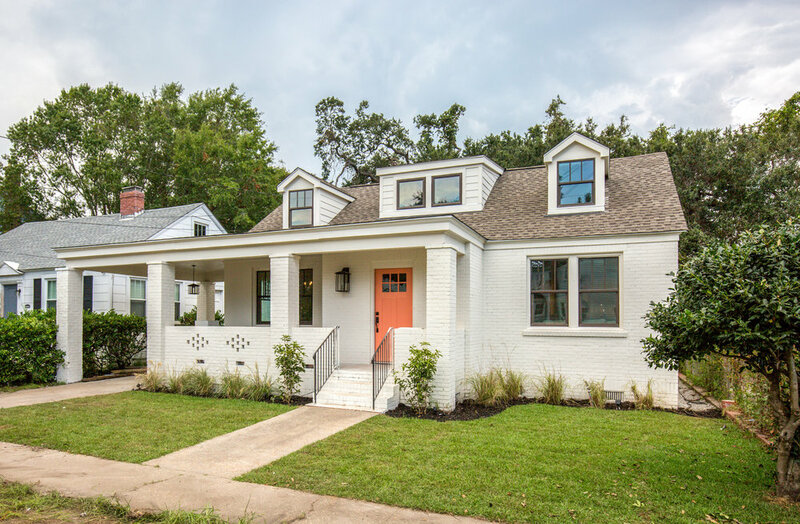 Beautifully renovated Wagener Terrace home on Sunnyside, one of the quietest streets downtown with little through traffic. Charming curb appeal greets you home with an inviting front porch and entryway. Inside you'll appreciate the rustic white oak hardwood flooring and abundance of natural light. This space is an entertainer’s dream. Kitchen complete with duel fuel range, breakfast bar, wet bar with wine cooler, and custom lighting. Great room addition with vaulted ceiling and wood burning fireplace. First floor master with walk-in closet, duel vanity, and custom tile shower. The upper level features two spacious bedrooms, additional storage space, and shared guest bath. Studs out renovation included new roof, 2 unit HVAC and duct work, tankless water heater, windows and insulation.